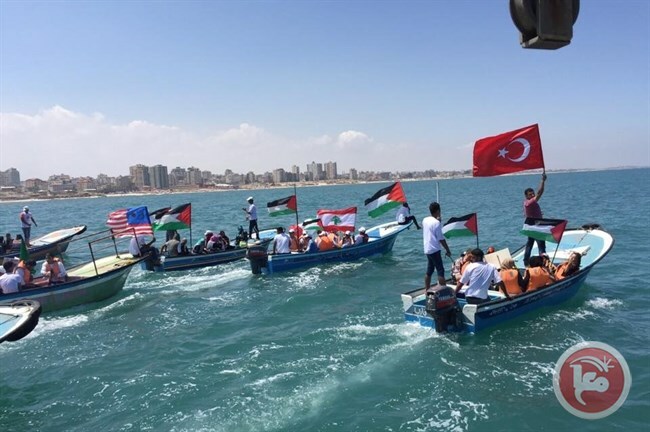 GAZA CITY (Ma’an) — Activists in Gaza City on Sunday marked five years since Israel’s deadly attack on the first Freedom Flotilla in 2010, a day after the ship leading Freedom Flotilla III arrived in the port of Bueu in Spain en route to Gaza. Sunday’s commemoration ceremony was organized by Miles of Smiles, an international Gaza aid campaign, and was attended by dozens of activists. The ship, called the Marianne, will join other ships heading to Gaza in “a peaceful, nonviolent action to break the illegal and inhumane blockade of the Gaza Strip,” according to the Freedom Flotilla Coalition.